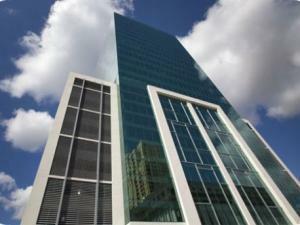 Virtual Office South Miami, adjoining to the Dadeland Mall, now you can have your office in the heart of Miami. Shared reception area and conference rooms, fully operated with management and administrative staff on side. Virtual Office South Miami Dadeland is located right next to the Dadeland Mall. The modern high riser is easy to reach via US 1 and Interstate Road 826. Amenities are modern and the facility is set up with the latest technology for fast internet access and VOIP phone technology. Management and administrative support is available during regular business hours. Clients may arrive and depart quickly, a drive to the Miami International Airport just takes 20 minutes. Parking is available in the buildings parking garage and at an open parking lot adjoining to the building. The facility provides you with fully furnished and serviced office suites. Our shared reception area is representing your clients in your companies name. In this business center you can have your company setup fast with one of our Virtual Office South Miami plans. For clients who are looking for turnkey office space, we have several units in different sizes available in order to serve your particular needs. You may add on a phone service or an auto attendant, as well as secretarial assistance services. This way you will never lose an important call and stay connected wherever you are. To enter into a Virtual Office service agreement, simply add your location to the card and follow the checkout process. We will keep you informed about the signup process at all times and will send you an activation email once the setup at our office center is completed. If you wish to visit the location, kindly contact us via the inquiry form below and we will be happy to arrange a tour for you. 4 Conference Rooms – average fee $35-$49 per hr, 6 to 12 people. In the middle of the Chicago business district, surrounded by elegant restaurants and shopping centers situates the Virtual Office Chicago. One whole floor of executive office space at your service. Shared reception area and conference rooms, as well as administrative personal are on site to represent you in your companies name. The Atlanta Midtown Virtual Office is represented in a beautiful southern style building with large office suites, particularly suited for the demands of the C-Level executive. Very easy to access over Interstate Roads 75 and 85. A very prestigious address in the heart of the financial district, professional and modern executive suites with bilingual staff on side. Close to restaurants, banks, hotels and entertainment, this exclusive area grows constantly into a metropol area and is home to regional and national corporations, as well as many professionals. Prestigious Virtual Office Down Town Atlanta location, close to Federal Court Houses, the State Capitol and World Congress Center. Easy to access over Interstate Road 85 and only 20 minutes away from Atlanta International Airport. Great Down Town New York location right next to the stock exchange and just minutes away from the Congress Center. Modern and inviting office suites combined with advanced technology make this the choice for the flexibillity demanding business executive.